Our system is full of features. Check them out below. Using the various design options, we have 16 different design styles to select from. 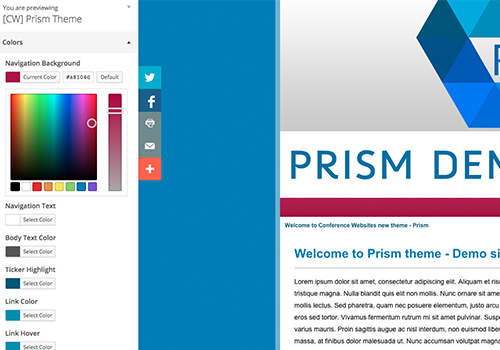 We also have the new larger Prism theme to use – at a small additional fee. 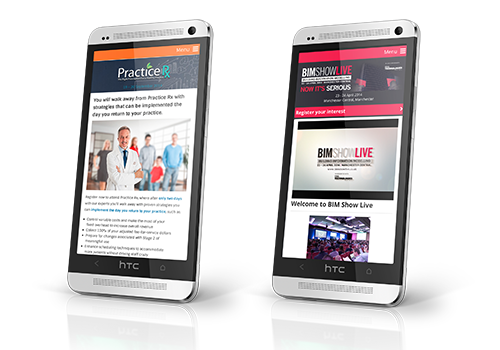 Compatible with the latest smartphones and tablets your visitors will be able to access your conference website with ease. We understand how vital sponsors are to your event, so we’ve given you plenty of tools to show off your sponsors. You can easily drop your sponsors logo in the sidebar or page text without having to worry about the layout. You can easily update a sponsor logo once and it’ll update throughout the site. 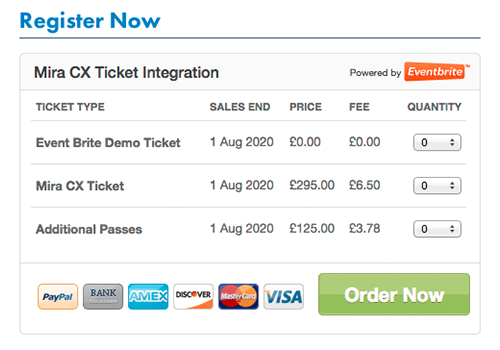 Sponsors can be categorised in Gold, Silver and Bronze or you can use the system to manage the Media Partners. Speakers are often the biggest selling point of any event. 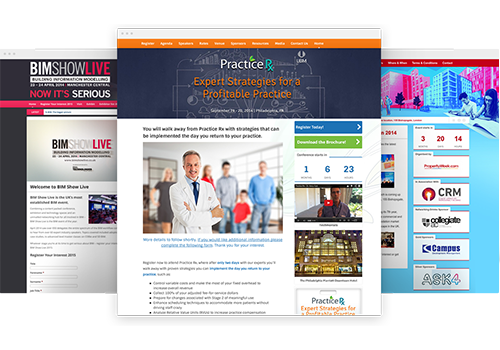 We’ve given you all the tools required to give all your speakers great exposure on your event website. 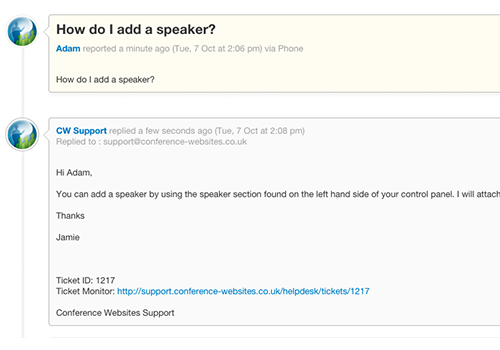 Easily keep your list of speakers up-to-date and drop them into the sidebar or display them anywhere in the website. 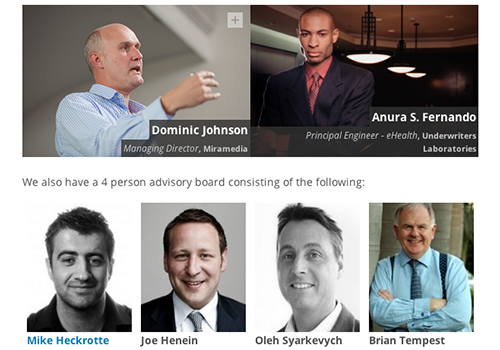 There are 3 Speaker views to select from: Keynote, Highlighted or list. An effective way to layout your programme. An automated agenda builder ensures that you can easily keep track of your conference agenda and seminar programme. Visitors can download the session time (as a vCard) and information to their diary, view the speakers and read a session description. This is also available on the go via the mobile version of the site. 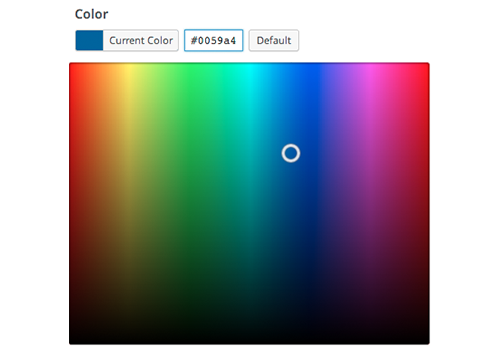 You can now edit the look and feel of the site in real time. Amend a colour, header image or background and view the change live on your actual website You can also change the widgets and navigation all from within the same view. Please try this new feature in the live demo. 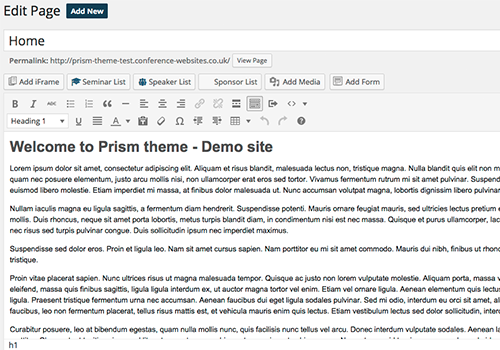 All the content on the website is controlled by you using an easy to use WYSIWYG editor. Powered by WordPress, the most successful blog and website management system on the web. The WYSIWYG editor bears a close resemblance too many word processing packages such as Microsoft Word you will find the tools available very familiar. Not only that, if you do get stuck, the training resources available are extensive – the web is full of help for WordPress. Our fast and easy ticketing system will answer all your questions, we also have a large user guide to help you if you get stuck. 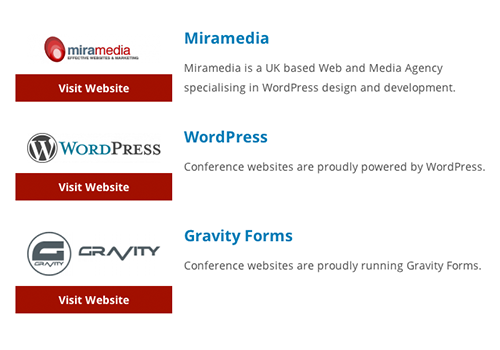 Conference Websites is fully managed and hosted by us. 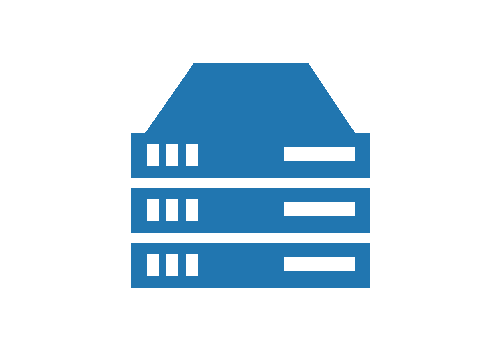 Our fast reliable servers are managed 24/7 so you don’t have to worry about anything. 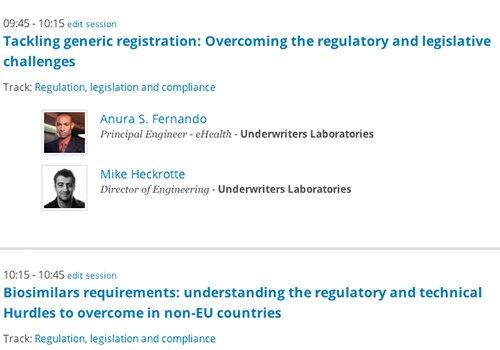 Any RGB colour is available on Conference Websites. There are 16.7 million possible colour combinations to choose from so you should be able to find a good match for your company branding.